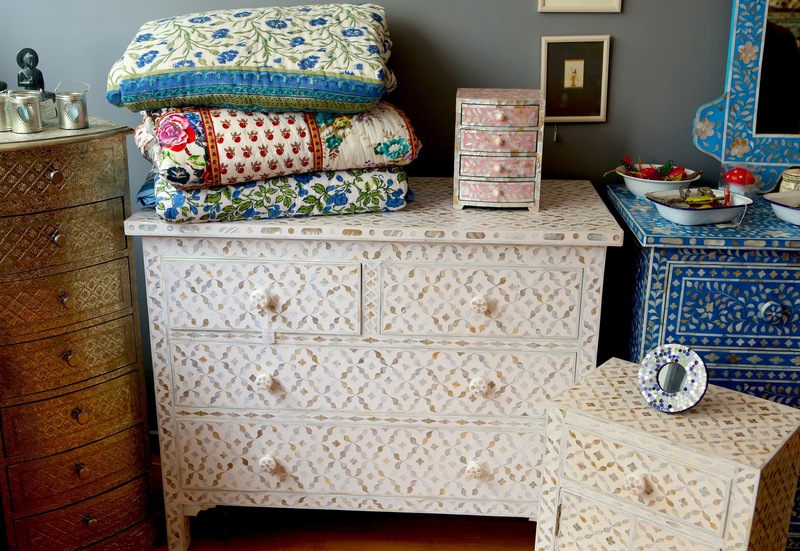 Iris Furnishing is an independent retailer of fine Indian furnishings specialising in mother of pearl and bone inlay, embossed white metal and painted Rajasthani furniture. Our colorful range is all hand crafted and hand painted by local artisans in ethical working conditions. Our close relationship with the families that make our furniture enables us to offer a unique bespoke ordering service where customers are invited to order made to measure items across our entire range. Opening Hours: Wed - Sat 10:30am - 5:30pm, Mon - Tues by appointment.